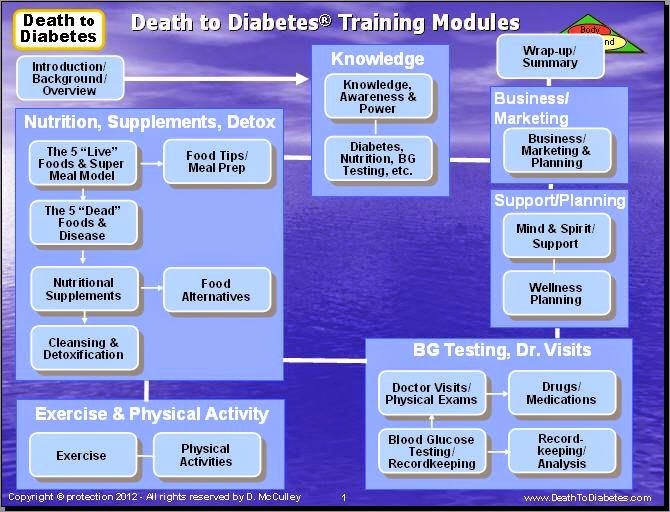 Here is a PowerPoint Slides Overview of the 560+ slides associated with our Diabetes Health Coaching & Business Training Program. 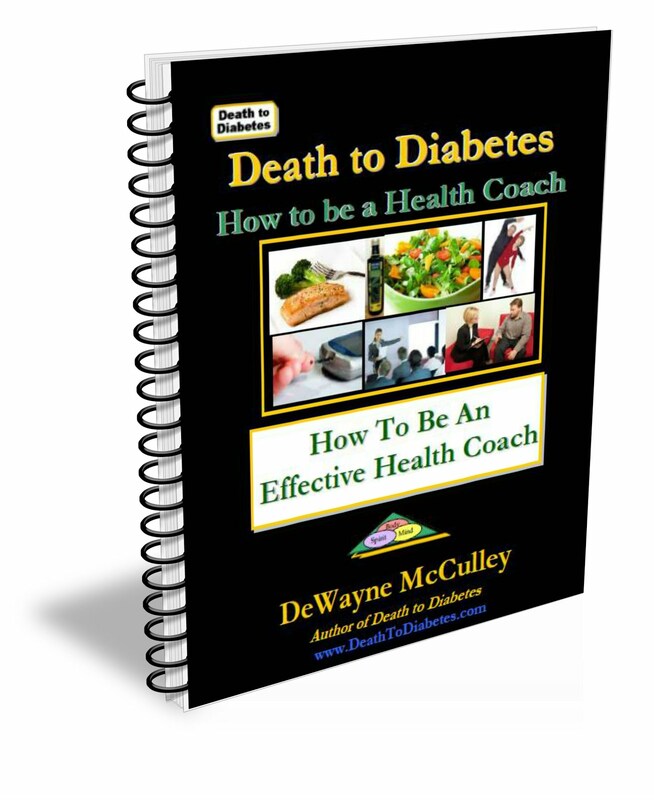 If you want to help other diabetics and use your experience and background as a diabetic, a health coach, a wellness consultant and/or a naturopathic doctor (to grow your business and make a lot of money at the same time), then, the author's Death to Diabetes Health Coach Certification Training Program is your answer. Why? Because this program teaches you how to help other diabetics reverse their diabetes as well as help you reverse your own diabetes (if you happen to be diabetic). This training program consists of workbooks, ebooks, CDs, DVDs, MP3 downloads, online training classes/sessions and PowerPoint slides (with audio & animation). And, because this program will increase your credibility with diabetics, this program will help you learn how to attract hundreds and eventually thousands of diabetics and other potential customers to your wellness business -- by showing you how to establish your credibility and reputation to "connect" with diabetics and their health needs. In addition, this program will help if you want to get involved with major companies and organizations that pay healthcare professionals very well for alternative health educational services, such as wellness training, employee training, health coaching/counseling, etc. 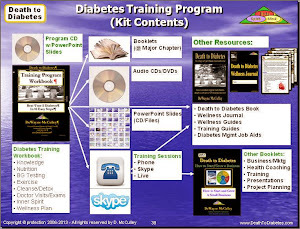 If you sincerely want to help people with their diabetes and/or other health issues, then, these books and/or the Death to Diabetes Training Program/Kit will help you, because Mr. McCulley's program/books are specifically designed to help you make a lot more money and reach a lot more people. This program will enable you to become proficient and become an authentic expert in diabetes management so that you will be able to help Type 2 diabetics in your church, community and/or various companies (and beyond, if you choose to do so). 1. 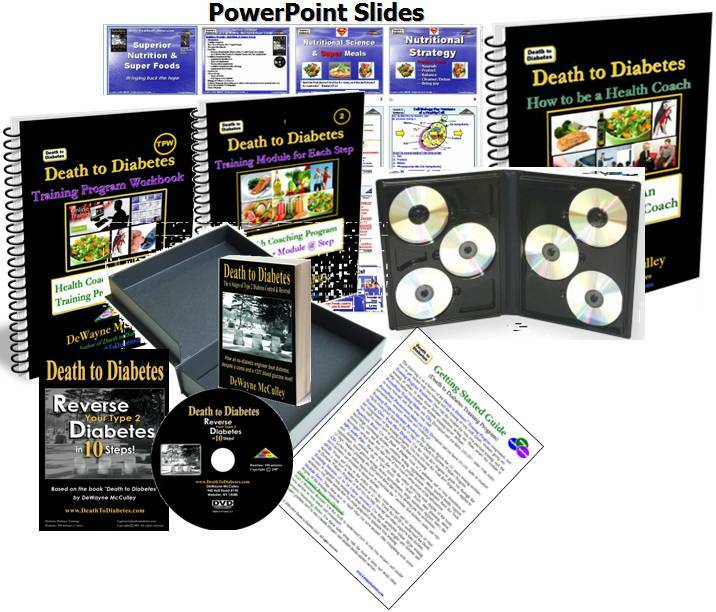 This training program is the only program written and developed by an ex-diabetic and an engineer who understands the science of diabetes and how to reverse this disease. 2. This training program is the only program that will build your credibility and reputation because this program actually works to help diabetics reverse their diabetes. This is because the program is based on a top-selling (diabetes) book that has helped thousands of diabetics around the world. 3. This training program is the only program that provides a detailed roadmap and sets of procedures, diagrams, charts and PowerPoint slides that will guide you and your clients step by step through the program to reverse their diabetes -- from no blood glucose control to complete blood glucose control without the need for diabetic medications. Our PowerPoint slides will especially help get you when dealing in Corporate America. 4. This training program is the only diabetes program that explains clearly-defined marketing strategies and multiple ways to expand your business and generate significant revenue for your business. 5. This training program immediately saves you thousands of dollars because instead of paying $25K-$30K for Mr. McCulley to lecture, you spend only several hundred dollars to learn how to do the lectures yourself! Plus, you can use the training program kit over and over and generate your own revenue! Note: If you have any questions, feel free to contact our office or call our toll free number (1-800-813-1927). Note: This training program is also available strictly as a set of downloads without the physical boxes at a cost that is at least 50% less than the cost of the physical kit.